Uninstall Tool - небольшая программа, заменяющая неудобную и тяжеловесную стандартную программу установки и удаления программ Windows. Uninstall Tool обладает большим количеством функций: показывает скрытые установленные программы, сортирует список программного обеспечения по заданному фильтру, удаляет некорректно инсталлированные и деинсталлированные программы, может экспортировать список установленных программ в HTML. 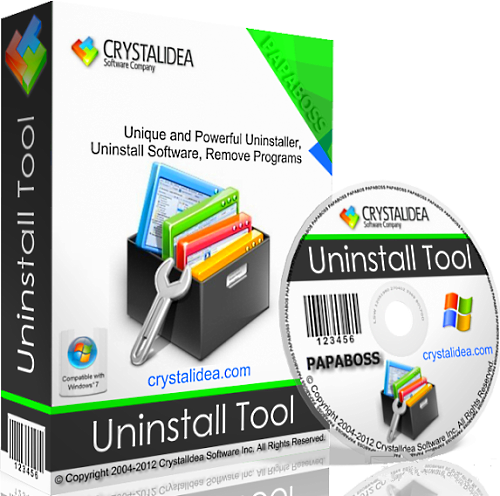 Uninstall Tool Unique And Powerful Uninstaller. Make your Computer Work Faster Now by using Uninstall Tool! Its a fast, secure and convenient way to remove unneeded applications and system components. Great, powerful and reliable alternative to standard Windows Add/Remove program. The program has lots of features and options mising in Microsofts applet. Uninstall Tool works with LIGHTNING SPEED and COMPLETELY removes any program from your computer. • 3 Times Faster than Add/Remove program! • Freeware Many ways of Sorting Applications: by Name, by Occupied Size, by Installation Date. • Uninstall Programs that could not be removed by Add/Remove program. • Force removal of uninstall related entries in the registry. • Smart Search ™ allows quick finding of any application you need. • Navigate to a selected program's Registry Entry, Installation Folder and its Web Site. • View Detailed Information of a certain application installed on your computer. • Easy to use and modern User Interface allows to work comfortably with Uninstall Tool. • Option to replace Add/Remove program.